Can Humans be the Cause? Femi's Addiction - This Cat Chews Wires! Sign Up For New York Tails' Monthly E-Newsletter! Ever Dream of Making Movies? Help Us Make The Movie, "Brooklyn Parrots"
Click here to be notified of new articles and updates. 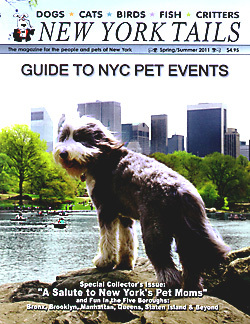 Enter "New York Tails Updates" as the subject of your e-mail.